10 Essential Oils that Work Quickly to Treat & Heal Cold Sores! » 10 Essential Oils that Work Quickly to Treat & Heal Cold Sores! Courtesy of their antibacterial, anti-inflammatory, and antiviral properties, essential oils can heal and treat cold sores. This can be good news for people who are constantly plagued by annoying and painful fever blisters. Although not every oil is the same, it is important to monitor your dosage. In the same way that results are subjective, the amount that is needed will also vary. Some are quite potent, so just a little can go a long way. As a guide, perform a quick test beforehand. Apply a small amount of the oil to a healthy section of your lip or mouth. Monitor your reaction. This will enable you to understand how your body is going to react. This is important because we all respond differently. Regarded as a potent antimicrobial agent, tea tree oil (also known as melaleuca oil) can sometimes prevent cold sores. It can also slow down the formation of existing blisters on the lips and mouth. Tea tree oil comes from the leaves of the Melaleuca alternifolia. It has been used as a natural remedy for generations. Tea tree oil is commonly used to treat burns, cuts, fungal infections, insect bites, tooth aches, etc. This particular oil has been used for virtually every ailment across the board over the years. Studies conducted at the turn of the millennium revealed the effectiveness of this oil. 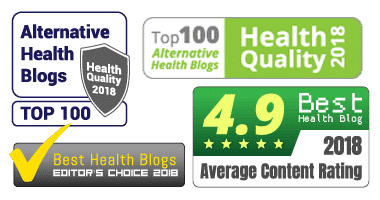 Known to have a critical antiviral impact on both HSV-1 and HSV-2, tea tree oil has been deemed statistically effective. Demonstrations have shown that tea tree oil can reduce the occurrence of cold sores by as much as 95% in some cases. Acting as both a preventative tool as well as an effective healer, tea tree oil is arguably more popular than ever. This is especially true when it comes to the oil being used as a home remedy for cold sores. Take a small resealable jar and mix two tablespoons of coconut oil. Add 5 drops of tea tree essential oil to the existing coconut oil. Mix the ingredients to form a thick and effective lip balm. Use a Q-tip and apply the balm to the problem area. You can rub the balm on the scab of an existing cold sore for expedient healing. Alternatively, you can also apply it to dried lips as a cold sore prevention measure. Why lip balm? Tea tree oil is rather problematic to apply to the lips in its natural state. However, when mixed with coconut oil, it becomes much more useful. The final product is similar to a store bought chapstick, only with antimicrobial agents. Potentially reducing cold sore development by as much as 90%, lemon oil may prevent HSV-1. According to a study published in Botanical Medicine, it can show positive effects in as little as 10 minutes. Since faster healing is important, lemon oil is a good alternative for many. Serving as a potent antimicrobial agent, it can speed up the healing process during the cold sore blister stage. Known for cleansing toxins, it is used in a wide variety ways. This even includes being used as a household cleaner and bug repellant. Documented in the International Journal of Food Microbiology, lemon oil is at the top of the class. In fact, it has been listed as potentially the most powerful antimicrobial of all essential oils. Add a small amount of lemon essential oil to a cotton ball. Dab the cotton on the cold sore directly. Similar to tea tree oil, you will need one sterilized jar or storage container. Take a small amount of coconut oil and mix in 4-5 drops of lemon oil. Using a sterile utensil, mix the ingredients. The final product will be a lemon oil balm that you can apply to your cold sore. This balm can serve as a healer as well as a preventive sealer to keep your lips moisturized. Acting as a soothing agent for the skin, lavender essential oil can reduce the size and healing time of cold sores. This skin-refreshing oil can also eliminate the discomfort that is commonly associated with a cold sore outbreak. Regarded as a potent antioxidant, lavender has been used as a healing agent since biblical times. It is not only used to heal the skin but also used to reduce anxiety, promote sleep, and calm headaches. Listed below is a simple recipe that mixes lavender essential oil with a carrier oil. Commonly known as base oil, carrier oils can serve to dilute stronger essential oils. Sweet almond oil will go quite nicely with the formula below. Using a sterile storage container, mix two drops of lavender with 4-5 drops of carrier oil. The carrier substance will be subjective to your personal preference. Once added and mixed, the substance can be applied to your blisters. Most notably once a scab has formed. This mixture can be applied to the lips before a breakout as a safeguard. Similar to an active chapstick, lavender mixed with a carrier can keep your lips moist and free of toxins. Complete with both antiviral and anti-inflammatory properties, oregano oil can be effective in treating cold sores. It is also a powerful antioxidant which can shield the skin from toxins. As a treatment method, similar to lavender, oregano oil has been used for thousands of years. Serving to treat skin irritation and general illness, oregano is still quite popular to this day. High-quality oregano oil is a plus. This will help you to enjoy the full effects of the oil is important. This is why it is critical to ensure that you are buying the top of the line. Be sure to read brand labels before purchasing to make sure you are paying for premium oregano. Oregano oil is best mixed with a carrier oil. This will not only increase effectiveness but reduce negative side effects. Cold sores are very tender. Even the slightest irritation can cause a lot of unwanted pain and discomfort. Using a storage container, dilute 2-3 drops of oregano with the carrier oil of your choosing. Coconut oil would be our recommendation. Mix the ingredients into a balm and put some on the scabbed area of your blister. You are advised to use care and caution when applying the balm. The last thing you want is to peel or remove the scab. This will create a litany of new problems. Regarding future use, this applies to all balm creations, and the substance can be used for several weeks. As long as the product is secured in a sealed container, the balm should remain intact and effective. This is important if you often fall victim to cold sore outbreaks. Having a mixture already made can serve as both a healer and preventative measure throughout the calendar year. This is even more of an advantage if you find a formula that seems to work for you. Keep in mind, cold sore healing and treatment is subjective. Especially when it comes to natural home remedy methods. Melissa oil, also known as lemon balm oil, is a multi-purpose oil. Quite similar to many notable selections within this listing, Melissa is used for treating anxiety, headaches, and everything in between. Arguably one of the most popular essential oils for treating cold sores, Melissa can potentially heal both HSV-1 and HSV-2. Courtesy of antiviral and antimicrobial properties, Melissa is very potent and effective. Statistically speaking, Melissa, courtesy of a 2008 study, has the subjective capability to reduce cold sore formation by as much as 98%. As it relates to mixture and application, Melissa can be made in mass quantity with a carrier oil. For base purposes, we recommend olive oil. That said, coconut oil can be quite effective. Melissa, like many essential oils, works as both an active treatment method as well as preventive measure. 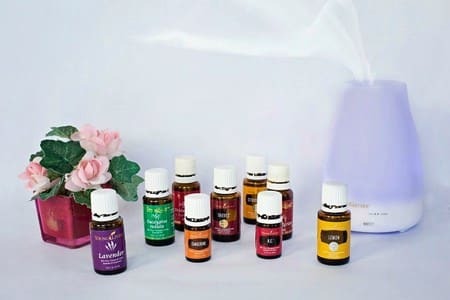 Using a storage container, mix as many as 20 drops (personal preference) of Melissa with half an ounce of carrier oil. As noted above, olive oil is our suggestion. Liberally apply the remedy to the infected area with a cotton ball or swab. If you are applying the treatment to an active scab, use extreme care. If applying as a preventative measure, coat your lips accordingly to keep them moist, sealed, and clear of free radicals. Regarded as a potent antifungal, antiseptic, and anti-inflammatory, lemongrass oil can heal and treat cold sores. Considered to be a natural remedy for various forms of health issues, lemongrass has been popular for generations. Ranging from digestive health to a flavoring additive used in tea, lemongrass is an immune system booster. This is critical as it relates to cold sores, being that weak immune health is a known trigger. Containing vitamins A, B1, B2, B3, B5, C, and a host of others, lemongrass oil kills bacteria while healing the body. This oil will also provide you with a natural energy boost. Lemongrass oil may be able to halt the formation and spread of HSV-1. Like so many oils, lemongrass is most potent against cold sores when used as a lip balm. Known for having a calm and soothing lemon scent, it can be made in bulk. Just a small application can potentially help you to avoid a cold sore outbreak and limit the impact of existing blisters. Using a storage container, place as many as 5 drops of lemongrass essential oil into existing coconut oil. Blend as needed. Once again, a carrier oil is necessary to form a stable base. This is paramount when making a natural chapstick. Apply the balm to your lips and allow the solution to absorb naturally. Even if you are not familiar with the healing properties of peppermint oil, you likely know about peppermint. Courtesy of various drinks, candies, or a flavored chewing gum, peppermint is a household name. As it relates to peppermint oil, antimicrobial properties are its main benefit. Aiding in the healing and treatment of a litany of health issues, peppermint oil can help to get rid of a cold sore faster. Known to boost your energy while also serving as an antiviral, peppermint essential oil can fight both HSV-1 and HSV-2. Regarded as a fast healing solution, this essential oil, when applied with a carrier oil, is a quality natural treatment. Quite pleasant to smell in addition to its natural cooling sensation, peppermint has a potential antiviral level of 99%. This percentage was documented in a 2003 laboratory study where the oil attempted to combat the herpes simplex virus. Using a storage container, mix 2 drops of the peppermint essential oil with 4-5 drops of olive oil. The olive oil carrier is paramount in this creation due to the potency of peppermint oil. It should be stressed that peppermint oil will burn, sting, and irritate open cold sores. Do not use on open blisters. Once the mixture is complete, use a cotton ball or swab and dab the solution on your infected area. Apply gently if you are attempting to treat a scabbed cold sore. Most commonly known for (and heard of) in regards to treating inflammation, camphor can also treat cold sores. Potentially effective due to its anti-inflammatory properties, camphor can work quite well as a topical treatment. Containing formidable antiviral properties, this particular oil can serve to halt the growth of HSV. The result is the potential for snuffing out cold sores while in progress. Camphor oil is a bit different. In fact, in most cases, no mixture is needed. Because this particular oil is often packaged in a commercially marketable state, you can find treatment outside of natural constraints. Although not a tried-and-tested remedy, it is one of the reasons why people are using Vicks to treat cold sores. It is high in camphor and Eucalyptus oil, which are intended to ease congestion. While applying the oil would work on a closed blister, many camphor products, (both natural and chemically enhanced) do exist on the market. You are certainly free and encouraged to explore your options. Simply apply 2-3 drops on a cotton ball and gently apply the oil to the problem area. Explore the market. Campho-Phenique Cold Sore Gel is a quality option. It will dry out the infected area and promote faster healing. Loaded with antimicrobial and antiseptic properties, eucalyptus oil is a cold sore healer. Often used for treating wounds and damaged skin, eucalyptus can be made into a strong salve. Ideal for both pain relief and healing, equably oil can cure existing infection while also refreshing the skin. Helpful for your immune system, Eucalyptus can also improve respiratory health and provide antioxidant protection. On a broader scope, eucalyptus might be the most diverse oil of all. Used as a hair treatment, hand cleaner, air freshener, spot remover, etc., eucalyptus is the definition of multi-purpose. Originating from the Tasmanian Blue Gum tree in Australia, the oil is gathering from its leaves. Add 4-5 drops of eucalyptus essential oil to 8-10 drops of olive oil. In this setting, olive oil is the perfect carrier due to its moisture qualities. Once mixed, apply the oil via cotton ball or swab. Only apply to closed scabs. Deriving from the hyssop plant, this prominent oil is highly touted due to its antiviral properties. Used for decades as a treatment for various types of infections, hyssop can reduce the healing time of a cold sore. Additionally, hyssop can potentially prevent a cold sore reoccurrence. Serving to soothe the skin, hyssop is a wonderful oil for those with sensitive skin. Quite calming and gentle, this remedy is very mild. Hyssop can help to reduce skin irritation and any pain associated with a cold sore. This healing oil can be applied to the skin or served in a beverage. Although, direct skin contact is obviously the most effective recommendation. Simply take a cotton ball and apply 2-3 drops of hyssop essential oil to the cotton. Gently dab the oil on your closed blister. As a preventative measure, you can also apply the oil freely to your lips. Keeping your lips moist, this action can potentially prevent a cold sore outbreak in the future. Although the oils listed above can work and have certainly worked for others, the results are subjective. You are encouraged to test the waters and find what works for you. You can try several oils and then stumble upon the right combination. Unlike Listerine for cold sores, this remedy is highly unlikely to make matters worse. Although the oils seemingly stand alone, forming cocktails is quite common. While the choice is yours, entertaining the idea of mixing oils could result in a positive outcome for you. Although natural solutions and home remedies are more common than ever, the demand for OTC cold sore treatments has also never been bigger. We encourage you to try various creams, ointments, and patches if your results with essential oils are not to your liking. Can I Use Bactine to Treat Cold Sores? Can Ice Stop a Cold Sore from Forming?